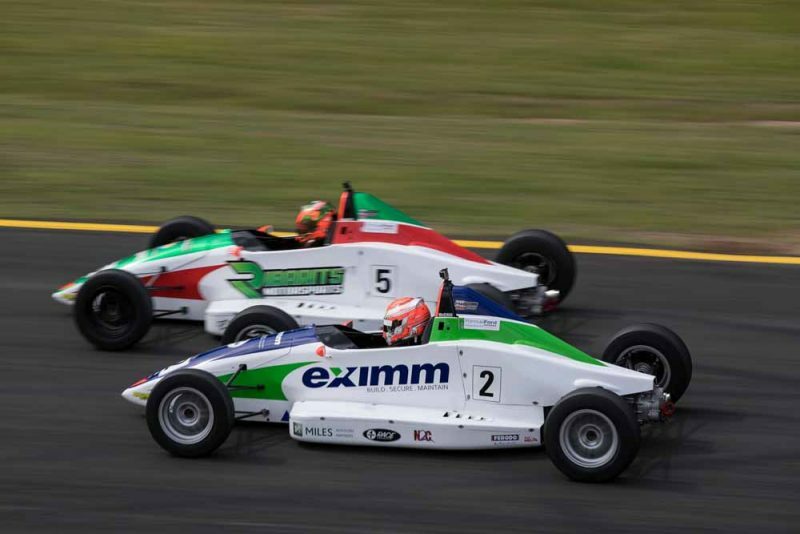 Hunter McElrea has won the 2018 Formula Ford championship after surviving a dramatic late challenge from Hamish Ribarits. 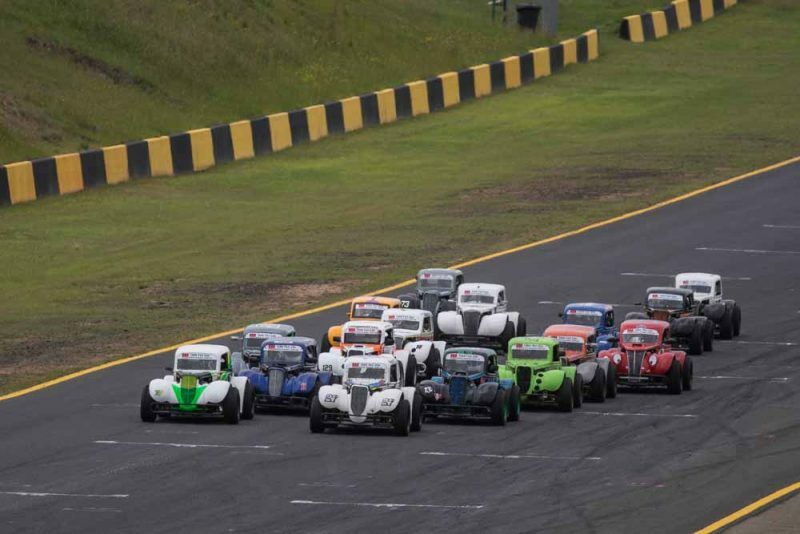 Victory for McElrea in Sunday’s opening race at Sydney Motorsport Park saw his points advantage swell to eight heading into the final race of the season. However there was drama early in the finale as the two championship protagonists made contact at Turn 2. The incident saw McElrea tumble to eighth, while Ribartis initially fell to third before recovering to second by the flag. However, a 35 second post-race penalty dropped Ribarits to 14th, ensuring McElrea was crowned champion. Through it all, Nathan Herne claimed the final race of the year from Angelo Mouzouris and Thomas Sargent, Herne having finished third in the day’s earlier race. 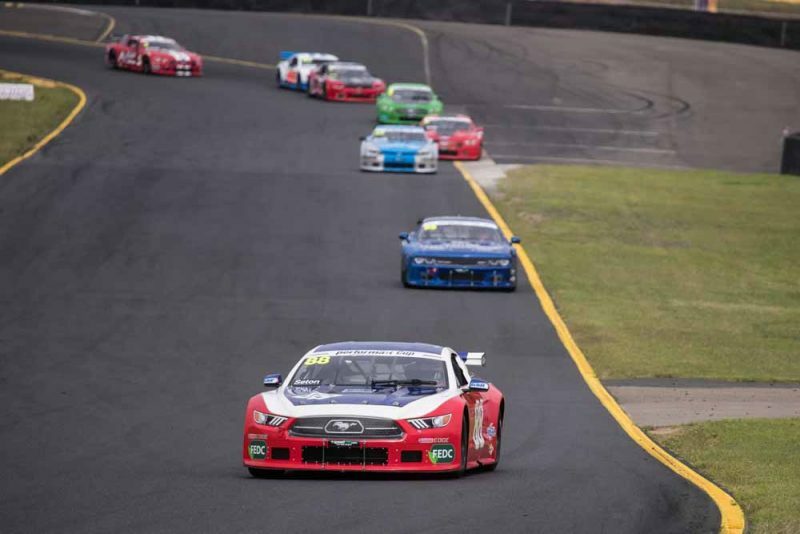 Two wins from as many starts saw Aaron Seton dominate the TA2 Muscle Car Series to complete a perfect weekend. Having qualified on pole and won both races on Saturday, Seton went on to make it four wins in as many starts by the end of the round. George Miedecke and Hugh McAlister rounded out both of Sunday’s podiums, the former just six tenths behind Seton at the end of Race 3. Fourth for the weekend went to Ashely Jarvis who also claimed the TA2 Muscle Car series title. 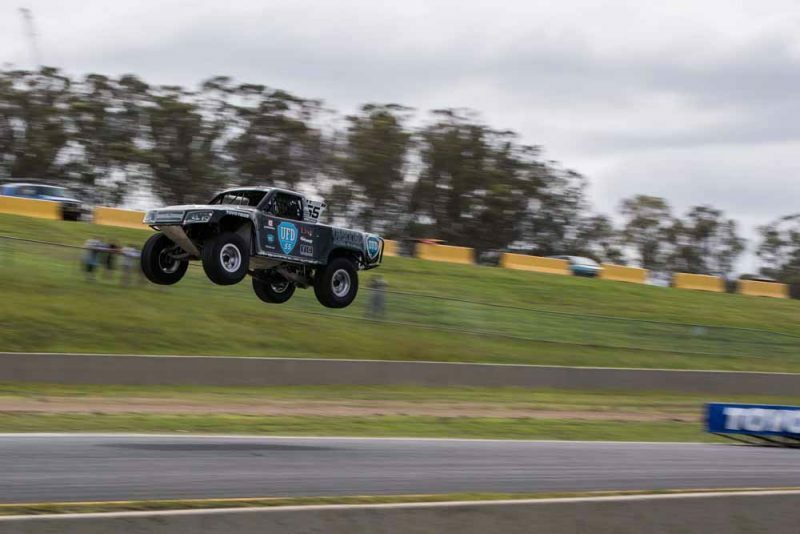 Gavin Harlien won the second Stadium Super Trucks race of the weekend to take out the round at Sydney Motorsport Park. Starting sixth, Harlien moved up the order before taking the lead following the mid-race Competition Caution. He then went on to win the 10 lap race from Paul Morris and Cole Potts, as Blade Hildebrand fell from third to sixth on the final lap. 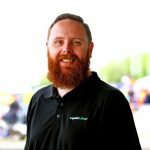 Russell Ingall was fifth, one place back from Robby Gordon, while Matt Brabham was classified ninth after damaging his truck following an awkward landing off one of the jumps. 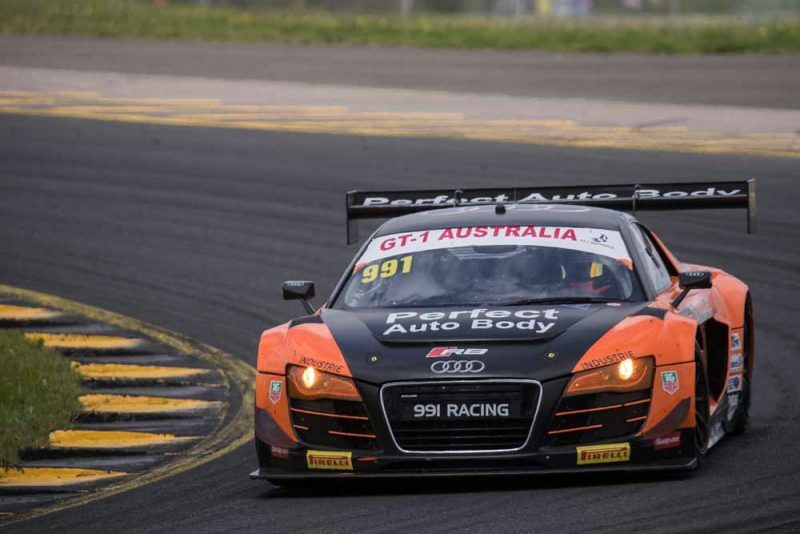 Theo Koundouris claimed the round at Sydney Motorsport Park in his Audi R8 LMS on debut in the series. Vince Muriti won the opening 50 minute race after taking the lead from the Jake Camilleri/Jason Busk MARC Focus V8 with two laps remaining. The Camilleri/Busk combination hung on to second with Koundouris in the final podium place. Nick Kelly then went on to dominate the second race, winning by almost 30 seconds over Koundouris while Rio Nugara charged back to third. 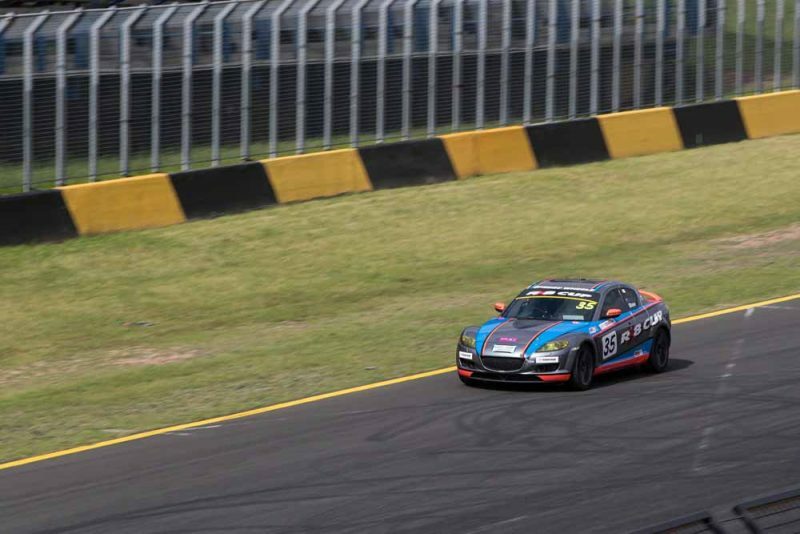 Ric Shaw banked two more Mazda RX8 Cup wins on Sunday to record a perfect weekend of racing. Shaw was pushed by Will Harris in the final race, having climbed from third in the day’s earlier six lap encounter. In that race Stephen McLaine ended proceedings second, but he slipped to third in Race 4. Regan Angel won the opening Legends Cars race of the day, a reverse-grid based on Saturday’s results, with James Burge second. The pair then tangled on the opening lap of the day’s second race, Angel holding on for another win while Burge recovered to sixth at the flag. Burge the claimed the final race of the weekend with Brendan Hourigan second as Angel slipping to third. 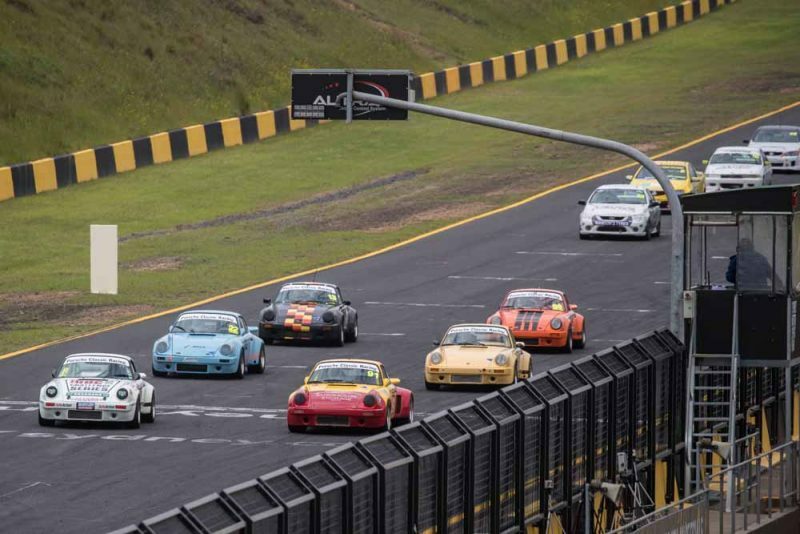 Lachlan Harburg won the three IROC Challenge Series races on offer, while Greg Keene was the winner of the Challenge Class ahead of Nic Marentis and Terry Knight. Richard Mork scored his third Aussie Racing Utes win from four rounds, with Gavin Ross winning the Group 4 Class, and Brent Edwards taking out the Super Six Class.